That yellow. That mustardy yellow. I just couldn’t keep it in the blanket. I didn’t like how it looked. It stands out, but in a bad way. It was mustardy. It was bringing the niceness of my blanket down. If it was a little more buttery, I think it would have been fine. I just didn’t like this yellow. 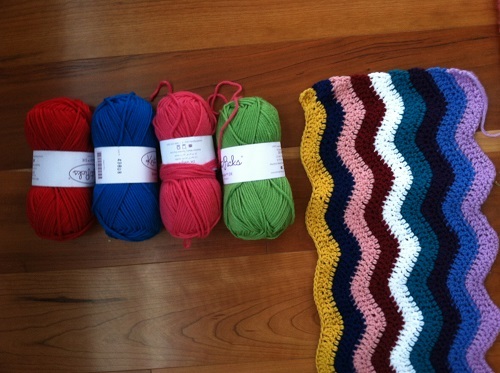 So, out it came and now I’m on the second to last color…. 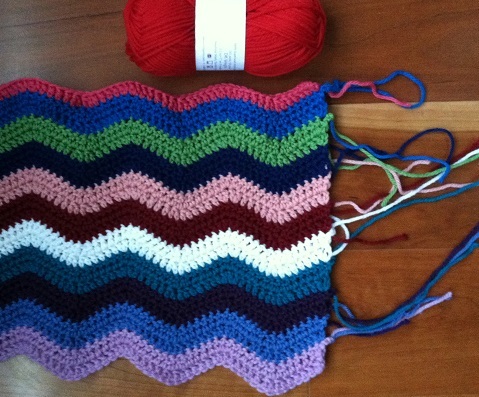 Posted in Uncategorized and tagged ripple blanket on November 17, 2013 by lizytish. Thanks Libby – I like it much better!